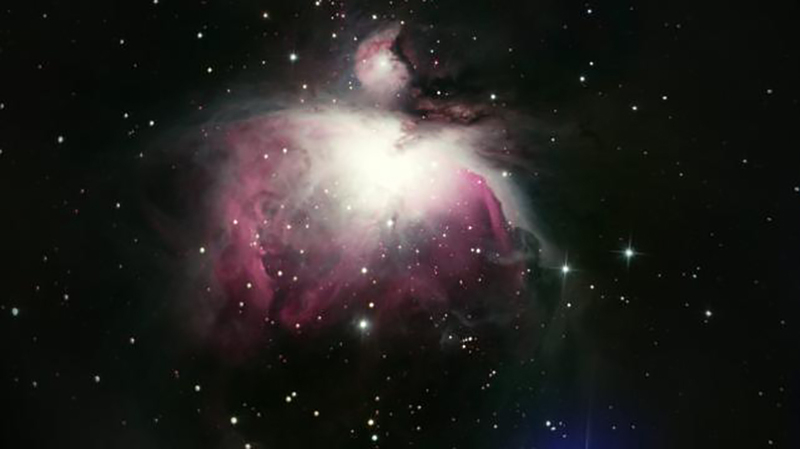 This photograph, which shows the Orion constellation, was taken with the newly-purchased equipment. Birzeit University, with the support of Chairperson of the Board of Trustees Hanna Nasir, purchased new equipment for the Michel and Sanieh Hakim Observatory, including new telescopes, filters, and cameras. Two new telescopes, measuring six and 10 inches in diameter, respectively, were added to the observatory, which already had three telescopes: one measuring 16 inches - the biggest in Palestine - an electronic telescope measuring eight inches, and a solar telescope measuring three inches. Omar Al Farouq Obaideyah, the Michel and Sanieh Hakim Observatory coordinator, said the new telescopes will help in accommodating the increasing number of visitors, while the new cameras will help in viewing and capturing photographs - and live streams - of objects that are deeper in space. The Birzeit University Michel and Sanieh Hakim Observatory was constructed in 2015 with a generous donation from Ramez Hakim to honor the memory of his parents. The observatory, which contains the first advanced telescope in Palestine, furthers Palestinians’ understanding of the universe through observation and research.